Silver screen has a great power to inspire. Movies find different ways in which adventure and travel can change people’s lives. The silver screen can teleport us from dull reality to a place where excitement, beauty, love, hope and inspiration are within reach. Here are some movies that not only make your heart soar, but also make you want to pack your bags and head out. Watch ’em now, good old torrents are always at our disposal. The Motorcycle Diaries (2004) – This tale of infamous Cuban revolutionary a young Che Guevara travelling around Latin America and discovering the conditions of the continent is heavy on breathtaking landscapes and makes you want to jump on a motorcycle and take off yourself. Wild (2014) – This adaptation of Cheryl Strayed’s 2012 bestseller memoir ‘Wild: From Lost to Found on the Pacific Crest Trail’ follows the emotional 1,100-mile solo journey of a young woman, played by the Oscar winning actress Reese Witherspoon, who treks along the Pacific Crest Trail in America. The route runs from Mexico to Canada, through California, Oregon and Washington, and over the highest regions of the Sierra Nevada and Cascade mountain ranges. Before Sunrise (1995) – In this romantic drama the director Richard Linklater tries to recreate his personal experience in which two strangers, spending just a night together in Vienna. Full of beautiful landscapes of Central Europe. Before Sunrise reminds me why I love to travel. It’s because when you’re travelling, you’re so much more open to experiences outside your usual schedule and you end up doing things you would normally never do, for connecting with random strangers and sharing moments of fun together. You may also like it’s sequels Before Sunset and Before Midnight. Life of Pi (2012) – Now, I’m sure you must be familiar with this one. This movie is based on Yann Martel’s epic from the same name and is directed by Ang Lee. This thought provoking film tells the story of an Indian teenager named Piscine Molitor “Pi” Patel who has survived a shipwreck with his only companion being a fierce Royal Bengal Tiger. Through the film “Pi” learns how to survive with “Richard Parker” (The Tiger) while encountering interesting events in fascinating dreamlike scenarios. Ocean full of flying fishes, giant whales and carnivorous islands are brought to life through best special effects I’ve ever seen. An amazing story of survival and discovery across the vast oceans provides a tale and food for thought. Makes you wonder, doesn’t it? Cast Away (2000) – This is the story of courage and the survival. If you’re a real traveller, you must have at some point dreamt about being stranded on a desert island and how you would survive. Cast away is the tale of an average American, portreyed by Tom Hanks who miraculously survives a plane crash and ends up on a deserted island in Fiji. The film shows how he survives both on the land and the ocean while he was stranded. His only friend on the island was a volleyball, he figures how to hunt and fish while managing to stay alive and relatively sane. As desolating as it is, Cast Away is a life affirming tale with the human nature of never giving up. Midnight in Paris (2011) – In this movie while on a trip to Paris with his fiancée’s family, a screenwriter finds himself mysteriously travelling back to the 1920s every midnight. Midnight in Paris is a beautiful movie that will take you away into a nostalgic magical world. Get ready to be seduced by the Paris’s charm. This film is directed by Woody Allen. Into the Wild (2007) – Last but not the least and my personal favourite Into the Wild is based on real story of adventurer Christopher McCandless aka Alexander Supertramp inspired by the books of his icons – Tolstoy, Thoreau and Jack London hitchhikes to Alaska to live in the wilderness. Along the way, Alex encounters a series of characters that shape his life. He was found after two weeks of his death in an abandoned bus in Stampede Trail, Alaska. The film is set in early 90’s and has given insights of many different locations and landscapes of US and Alaska. Alex is portrayed by Emile Hirsch and is directed by Sean Penn and is based on the book by Jon Krakauer. I am sure that there are many more movies that you might find inspiring, Watch them and get inspired, get out, go out there and explore. “The core of man’s spirit comes from new experiences” Alexander Supertramp. 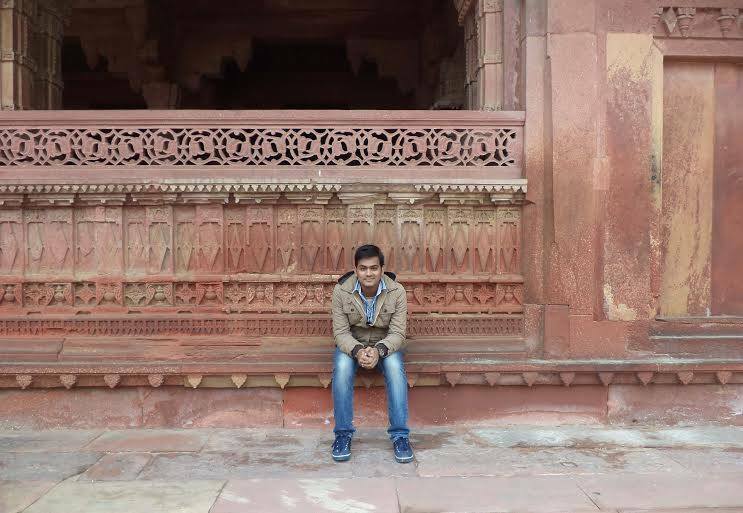 Hailing from City of Lakes-Bhopal, Setu Bandh Upadhyay, has been a resident of Dehradun and is currently living in Bombay. He’s currently pursuing BLS LLB from University of Mumbai as a second year student. He likes to observing people, watch movies and T.V. shows, listening music and swimming. He’s an avid reader and Tolstoy and Salinger are his favourites. Awesome compilation bru! Good job!